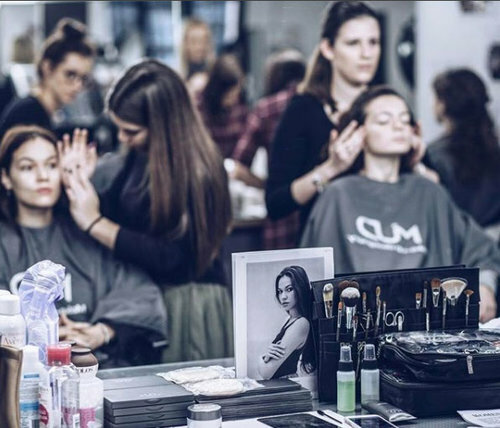 You would like to become a hair and make-up artist with an international certificate? Meet us and our school! Come to the Open Day or make an individual appointment with us. Backstage at one of our portfolio class photo shoot from MUD Studio Berlin / Make-up Designory. 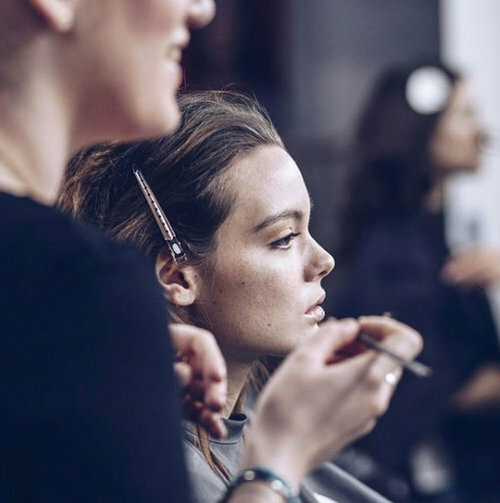 You want to train as a hair & make-up artist? Then you are exactly right at MUD! Known as "world's leading make-up school", we educate our students into hair & make-up professionals. The degree is an international certificate. You want to become part of our creative family? Find out now in our studio about our training and further education opportunities, housing and the possible financing. Open Round - Questions and Answers, Carrier Advice - in a relaxed round you can ask us all your questions. how to get there: with tram M10 (Friedrich-Ludwig-Jahn Sportpark) or tram 12 (Schwedter Str.) , or by U2 to Eberswalder Str. contact us for an individual appointment!